As if memory foam support wasn't enough, cooling gel technology has been added to the appeal of this luxuriously comfy mattress. 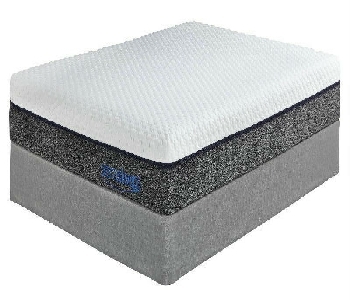 The Mygel Hybrid 1100 offers supreme comfort in the form of a thick layer of gel-infused memory foam atop a high-density base layer and bed of individually wrapped coils. Knit cover is washable and removes easily for added convenience.